A set of 12 beehives with corresponding bee word cards for the consonant blends – fl, tr, br, cr, fr, cl, dr, sl, st, bl, gl, sc. Ideal to use in the classroom as a small group sorting activity or to create an attractive phonics display. Select the font and colour option required. 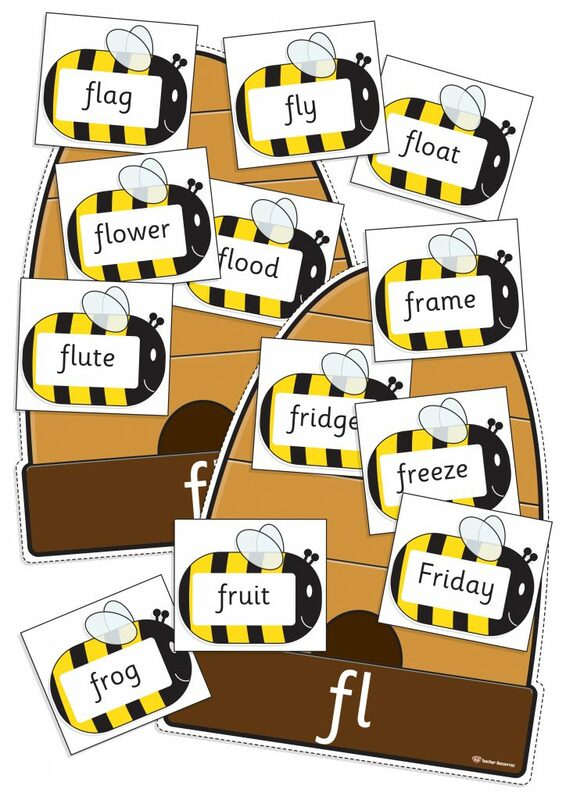 Print, cut and laminate the consonant beehives and word cards. Choose a blend group for the children to sort. Ask the children to sort the bees around the correct beehive. Alternatively, create an attractive classroom display to support knowledge and understanding of consonant blends.